Two beautiful hectares of botanical landscape have been crafted into a natural habitat-like sanctuary, research and breeding center for almost 1000 birds from 250 different species. The park features birds from Indonesia, South Africa and Latin America, as well as 2000 tropical plants. Take a tranquil stroll through the park for close encounters with these graceful birds, there's even a special area for Komodo dragons! 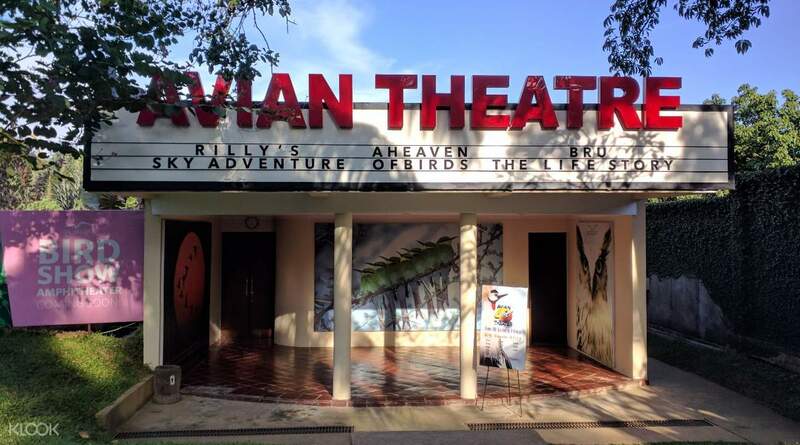 Be sure to plan your visit around the daily activities: feed lories and pelicans, watch birds of prey in action and be entertained at the park's 4D theater before heading to the guyu guyu corner for a hands-on photo session with parrots and cockatoos! 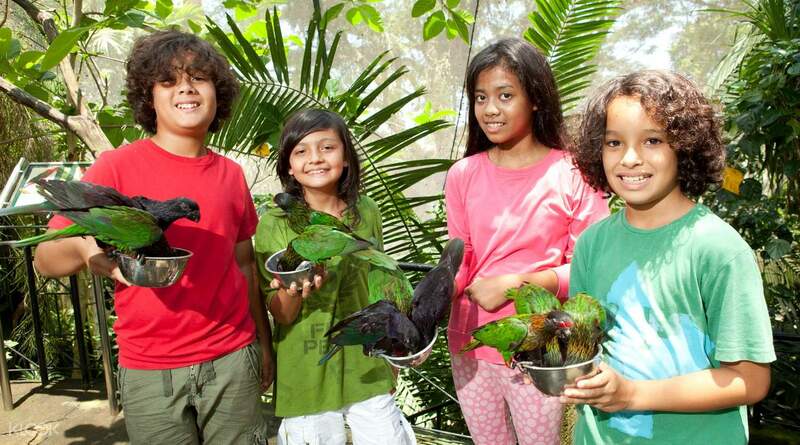 Huddle together with colorful avian creatures at the Bali Bird Park! 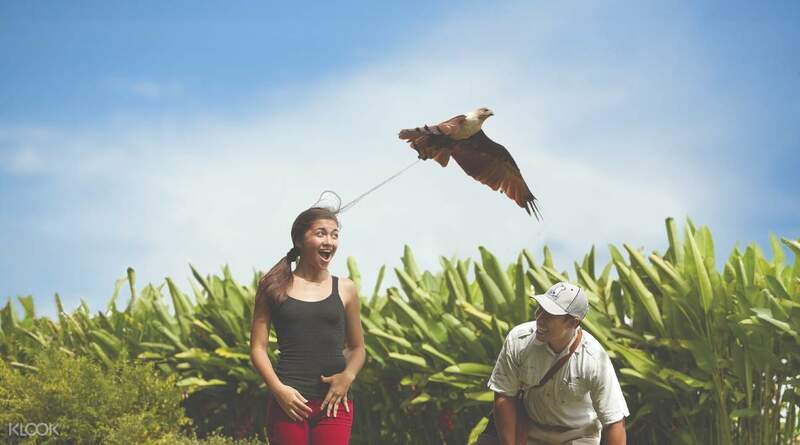 Watch majestic birds of prey as they soar overhead and swoop down for an elaborate show finish! 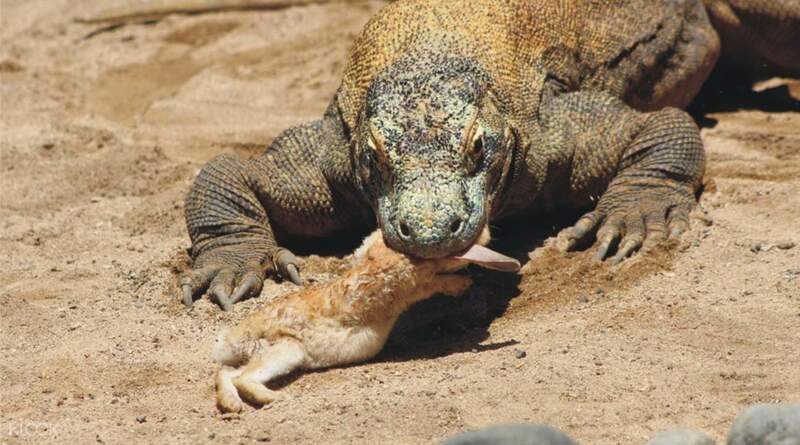 See real-life Komodo dragons, the reptilian inspiration for the famous character, King Kong! I loved the bird park. You can see a lot of different birds species and also a komodo dragon. The animals looked treated fine and there were a couple of different short showcases where you can see the trained birds closer. You get the opportunity to take pictures with the birds for free if you are into that as well.. I loved the bird park. 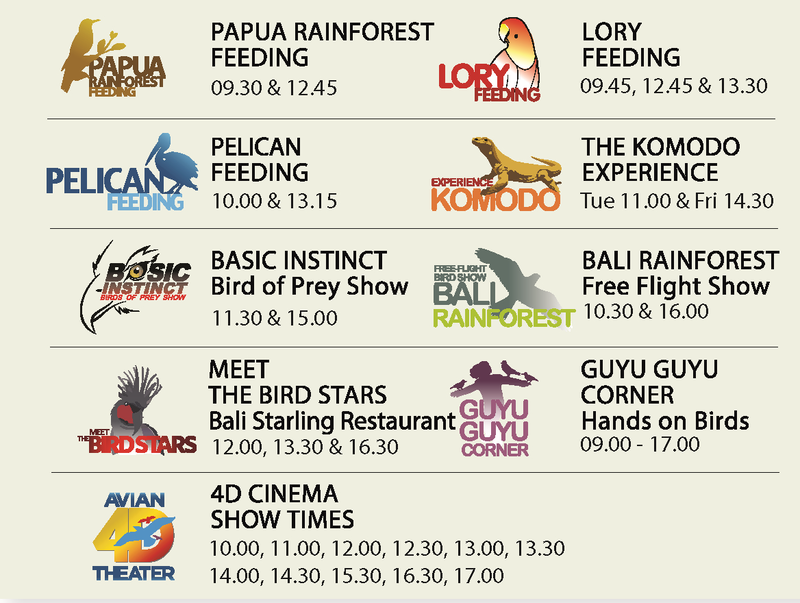 You can see a lot of different birds species and also a komodo dragon. The animals looked treated fine and there were a couple of different short showcases where you can see the trained birds closer. You get the opportunity to take pictures with the birds for free if you are into that as well.. Booked in advance on klook so not much hassle. Great place for both kids n adults. U get to take lots of pics with birds once inside. Dont miss the lory feeding which is at 1.15 pm. Other shows were ok just like what we have seen in other countries. Wouldnt have mattered if we missed. Booked in advance on klook so not much hassle. Great place for both kids n adults. U get to take lots of pics with birds once inside. Dont miss the lory feeding which is at 1.15 pm. Other shows were ok just like what we have seen in other countries. Wouldnt have mattered if we missed. it was good experience to seeing the diversity of bird animals closely, in contrast to other bird parks, in here we can interact directly even able to touch birds, I love it here, the officers are very friendly and helpful. it was good experience to seeing the diversity of bird animals closely, in contrast to other bird parks, in here we can interact directly even able to touch birds, I love it here, the officers are very friendly and helpful. It's big, interesting, a lot of birds, few areas where you can enter and even touch them. Small birds show, twice a week Comodo Dragon feeding, no money taken for own photo with birds on your hands. Recommended. It's big, interesting, a lot of birds, few areas where you can enter and even touch them. Small birds show, twice a week Comodo Dragon feeding, no money taken for own photo with birds on your hands. Recommended. we are so amazed by the bird collection in this park. 😍☺ esp the show! it is Really well though. love it soooooo much. it is better to book the tickets here first😂. thank you klook. we are so amazed by the bird collection in this park. 😍☺ esp the show! it is Really well though. love it soooooo much. it is better to book the tickets here first😂. thank you klook. Easy booking with Klook and cheaper than at the gates. Beautiful park with well looked after birds. Nice photo opportunities. A great outing for families. Easy booking with Klook and cheaper than at the gates. Beautiful park with well looked after birds. Nice photo opportunities. A great outing for families. Amazing we loved it ! Every minute new experiences also birds shows that is very rare to see. Amazing we loved it ! Every minute new experiences also birds shows that is very rare to see. A beautiful park with an amazing variety of birds. We spent more than 4 hours wandering around and watching the birds. The park is immaculate and the staff were lovely! A beautiful park with an amazing variety of birds. We spent more than 4 hours wandering around and watching the birds. The park is immaculate and the staff were lovely!